The further you turn the dial upward, the warmer the seat becomes. ►Vehicles without smart key system The engine switch is in the “ON” position. 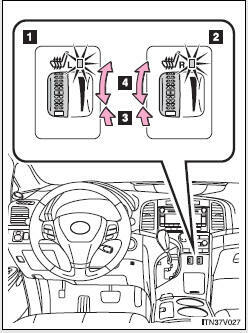 • Do not cover the seat with anything when using the seat heater. Do not put unevenly weighted objects on the seat and do not stick sharp objects (needles, nails, etc.) into the seat. Turn the switches off when the engine is not running.